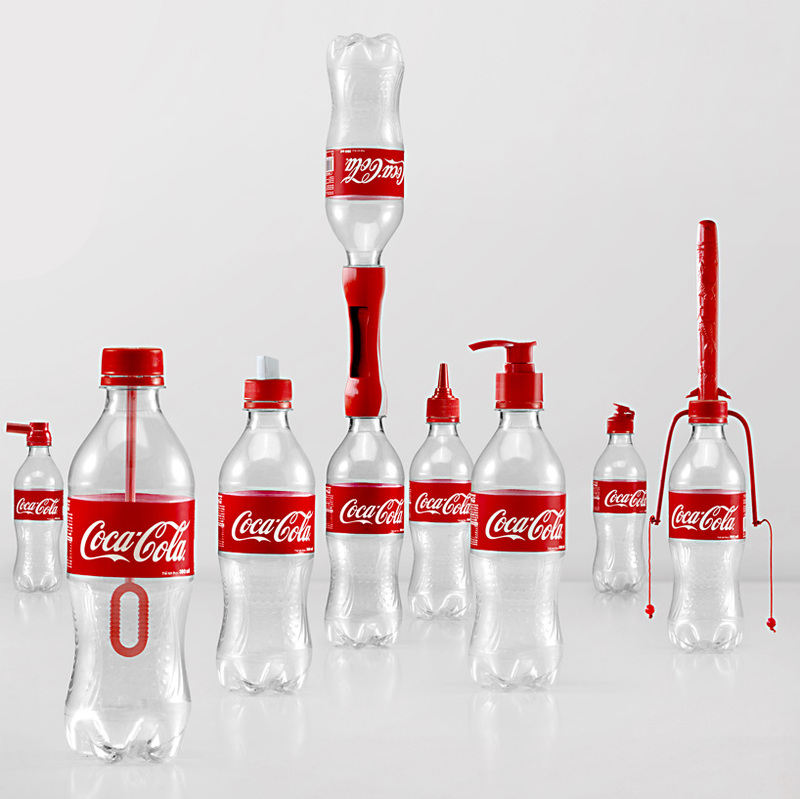 Coca Cola is no stranger to stunt marketing and using products in innovative ways. A recent campaign involved creating custom bottle caps that could only be opened when connected to another cap. The thinking behind it was to initiate conversation between freshmen during their first few days on campus. A simple and elegant solution to put product in people’s hands, and much more interesting than a point of sales promotion or some other traditional thinking. It positioned Coke as part of their lives and by aligning to the ‘social’ aspect of college life, and it will likely see return sales and preference over Pepsi. While the above campaign is fairly innovative thinking to boost sales of Coca Cola, it doesn’t address the plastic pollution issue. 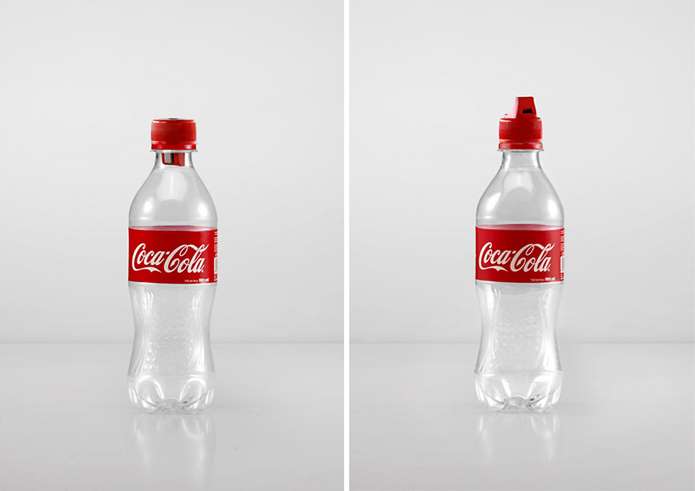 Thankfully, Ogilvy & Mather have partnered with Coke to launch ’2ndlives’, a line of 16 innovative caps which can be screwed onto bottles after consumption, transforming them into useful objects, such as paintbrushes, waterguns and pencil sharpeners. The campaign directed at Indonesia and Thailand is designed to encourage consumers to reuse the plastic bottles, in countries where waste (especially plastic) is a huge problem. It’s fair to point out that the amount of plastic required to make the caps is probably far greater than that of the bottles themselves. This is likely true in the short term, but the elegance of this campaign is in the long-term potential for behaviour modification. The ability to show consumers that a plastic bottle is not a one-time object, but can be utilised in a number of different ways lives up to their “global sustainability program”. Another brand looking at the bottle cap as a way to prompt its customers is Vittel, a French brand of bottled water. A bespoke bottle cap starts a timer every time it is twisted shut and a tiny red flag pops up after an hour. The goal is to “encourage people to stay hydrated throughout the day… promoting good health through design”. Under the guise of this reminder the consumer to drink water (inherently a good thing), the genius little cap promotes consumption of the product. Vittel have ultimately created a really intelligent piece of product design. It may not solve the problem of plastic pollution but it does use its existing packaging in a really clever way. For our clients, we’re always looking at new ways to innovate and push the boundaries of what they bring to market. Whether it’s a bottle cap or another piece of packaging, we’re never comfortable just delivering the norm. We want to push the thinking of our clients into new territories. But at the end of the day, brand related or not, we simply love creative thinking. And there is no better example of using plastic bottles in a creative and environmentally conscious manner than shown in the video below. Where there is opportunity, there is a potential brand. Here’s a simple idea an American start-up company Washboard have come up with for regulars of coin laundries.